There is bound to be excitement in the air when the King makes an appearance. And when he walks in for an in-depth chat, we are all ears for his candid, witty and insightful responses. Shah Rukh Khan completes 25 years in the industry this year, and almost everyone who has worked with him over the years will agree that his enthusiasm, passion for cinema and dedication towards a film maker’s vision hasn't changed a bit. Despite a high fever and cold, the actor took time out for a long day of promotions for his upcoming crime drama - Raees, where he plays a kohl eyed baddie. As we wait under the starry sky on a breezy night at a suburban studio, Khan arrives looking his stylish best, complete with a leather jacket and pair of Adidas superstar metal toes. While the actor attended a quick phone call, we couldn't take our eyes off that dimpled smile. After a quick sip of water, Khan settled down for an interesting conversation. Here's Part I of our candid chat with the Badshah of Bollywood. 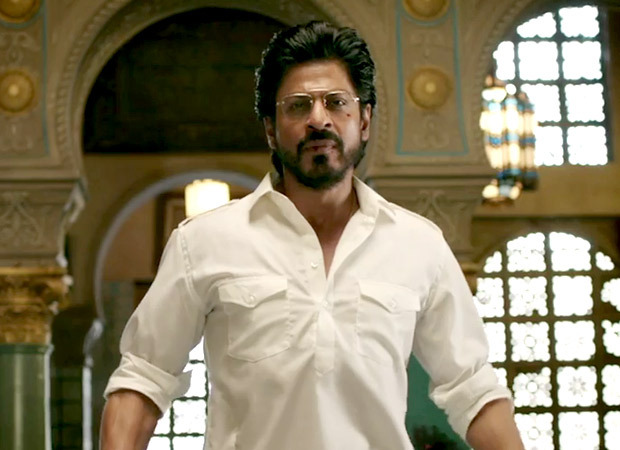 How would you describe your experience of working on Raees? It started off as a very small film. Then, I got injured and there was a gap. Maybe, that is a good thing, because we were trying to contain a film which is half realistic and half popular. So, during that space, we got enough time to work on it. Some of the things that we worked on later have only added to the film, in a way helping us towards what we were trying to achieve. It was great fun. Rahul (Dholakia) is from a different school of film making. 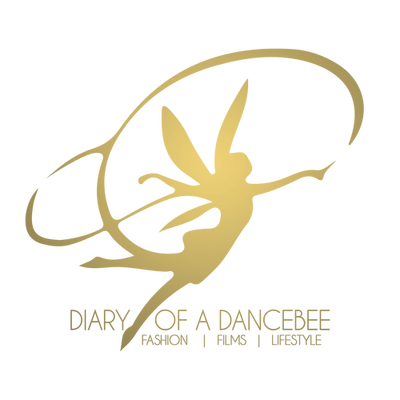 Also, it was our (Red Chillies Entertainment’s) first association as a production with Excel entertainment. Also, working with Mahira (Khan), Nawaz (Siddiqui), Zeeshan (Ayyub) and everyone else was great. What was it about the script that stood out for you? This is not a regular story, where you see a guy who grows up and becomes a don. Then there is a villain, who beats him up and the guy kills him to become a bigger don or goes to jail. Raees has an interesting journey, which is very unique. It traces the journey of my character from a seven year old kid to the time he turns 42 - 45. In fact, all the characters move along in the film together. It’s not a very typical Hindi film, where the boy meets a girl or say, a revenge drama. It’s just the story of a person who is in the midst of a world that is completely bad. He also does bad things, but somewhere along the line, we still wanted to create an aspect that shows some human quality in him. We are not justifying anything or forcing upon anyone what to like to dislike. The audience can make up their mind - whether to like or dislike him. In commercial cinema, we generally don’t do that. It is generally forced upon you ki bas Hero accha hi hain. Usne bahut sacrifices kiye hain. Because of Rahul’s presence, it is a more open ended discussion in the film, which I don’t know will work or not. But, it is more realistic. However, the popularity part of it - songs, fight, drama are all there. So, I feel the mix will be interesting. 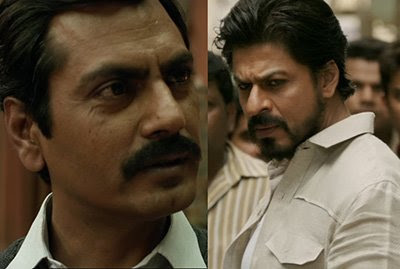 Raees is a far cry from the kind of characters you have portrayed in the past. What was it about the character that impressed you the most? There is a strain in this character, where you own up and take responsibility for your action. Normally, that’s a thing you associate with good people. But, Raees is a bad person in a bad world, who does bad jobs according to us. But, he does stand up for the result of his actions. He is powerful enough to get away from things, and also to reject it. However, he believes that if you have done something, you need to stand up for it. That’s the strength of his character. The dialogues take you back to the Angry young man era. They have become quite a rage. Apart from your style, of course, what do you think attributed to the popularity? The film is written by journalists. They have done a lot of research and so, most of the dialogues have been picked up from spoken word, on the road. ‘Baniye ka dimaag, miyaan bhai ki daring’ is a dialogue that is often spoken, not something they have invented. Similarly, battery is a word often used for people who were glasses and that’s how, ‘Battery nahi bolne ka' came up. The likability of the dialogues is because they are very spoken and normal. Having said that, many dialogues which are spoken by other actors in the film are also very nicely done. They have got a nice rhythm. Maybe because journalists have written it, they are real or perhaps, the writers are very creative (smiles). You are sharing screen space with Nawazuddin Siddiqui for the first time. What do you have to say about his work? Nawaz bhai is one of the finest actors from the last decade we have seen in India. Since both Nawaz and I come from a theatre background, there is some amount of likeness to us. We both know that we have done our studies. But, he is very different as an actor than I am. Both of us were very happy to come together and respect each others space. It’s like, Shah Rukh knows this, Nawaz Bhai knows that. So, let’s try and see if we can include it together in our performances. We are very important in the film together, as our respective characters span through 15 - 20 years. It’s a relationship based on hate, as one is a cop and the other is a bad guy. But hopefully, when the film comes out, you will see that it won’t be like a typical cop-thief situation. That has been possible only because Nawaz is such a well nuanced actor. Was a fresh face always the first choice for the leading lady opposite Raees in the film? Casting has always been the director's call. I have never participated in the casting of any of my films. But, I think we needed a new face opposite me. Because whenever I do a more realistic character, like Suri in Rab Ne Bana Di Jodi, you need a new girl to make me look more real (laughs). Otherwise, people always expect me to be this cool, urban guy. Same goes for Om Shanti Om, because I was playing a struggler. Farah (Khan) was very keen on casting a new girl, so that she looks like a star. Otherwise, if you take an established actress, then it just looks like - woh heroine aur Shah Rukh Khan hero. For some films, especially when it is reality based, you need a new face. So, one reason was that. I think the second part was that the role demanded someone who is very petite to look at, but is very strong in her convictions. She stands by her boyfriend / husband (as the story progresses). At one point, they were trying to look at the existing female actors, but then, Rahul (Dholakia) was very clear that most of the people who work with Shah Rukh in the film should not have shared screen space with him earlier. So then, it will be possible for the audience to see the character more, than just looking at Shah Rukh Khan. If I do a film with, say Deepika (Padukone) or Kajol, then people will just say - Yeh Shah Rukh or Deepika ki ya Shah Rukh aur Kajol ki picture hain, instead of saying, yeh toh Renu aur Ravi ki picture hain (smiles). We are such strongly presented actors in films. And, that works well for a commercial film. But, since we were trying to be more realistic in Raees, they auditioned some people and zeroed in on Mahira (Khan). It's interesting how you have worked with several debutants in the past, who have gone on to become popular leading ladies today. Do you think Mahira too will follow suit? Most of the actresses who have worked with me are extremely talented ladies. They haven't become stars because they debuted with me. Some of them who did not work with me in their debut films also went on to become stars (smiles). Even before working on Raees, Mahira has established herself as an actor. This is not a new world for her. She is wonderful in the film and it was nice to work with her. I think she perfectly fits in the film. And, one can only wish the best for everyone who has worked on the film, including Nawaz, Zeeshan and myself (smiles). Well, I got injured while shooting for a sequence in Fan, just before wrapping up the film. I was hospitalised and had to undergo a surgery. So, when I started Raees, I was very badly off. In fact, the sequence where I walk out of the smoke, which was a prominent part of the teaser and trailer, is where I was on crutches. But, I had to work on these shots as the set was ready and standing. It was later that we had to postpone the remaining shoot and the film. Due to my knee injury, learning Garba was extremely difficult, Faizan. Especially all the jumping around. In fact, they wanted me to wear a kediyu for the song, but I would look very funny (laughs). I didn’t realise Garba would be that difficult. We had to use the Dandiya, and do some of those round steps (laughs). With the pathani, it was all the more difficult. But, our choreographers - Sameer and Arsh Tanna, were very good to me. In Part II of this interview, we chat with the actor further about Raees, the process of preparing for a character, his future projects and a technical aspect of film making that is very close to his heart. Stay Tuned! The narration was so nice and interesting. Facetime for pc is an best iPhone app.